is like listening to the voice of God ! recorded in Marbella with one of the finest church organs from Spain. Bach's organ is so powerful and inspiring that contemporary music seems pointless. This most outstanding instrument is one of the largest church organs in Spain ! Michael Reckling has been the promotor of this project, initiated in 1970.
craftsman and creator of the grand Marbella Organ, Organo del Sol Mayor. where will be added information and unique photographs from time to time. Your comments at Gabriel Blancafort's Guestbook would be extremely appreciated. Our Lady of Encarnation in the old town of Marbella. The main Church of Marbella belongs to the diocese of Málaga. organized and sponsored (many of them) by Michael Reckling. but you can view many entries from the moment we had started this site. You can view some very special comments here. Jean Langlais with Michael Reckling in 1977 in southern Spain. 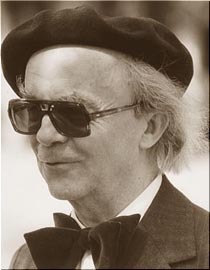 It was his unique recital in Spain on the large Blancafort Organ at the main church of Marbella. © 1977 Michael Reckling - Valladolid Jean Langlais plays three Schübler Chorals. to his end before Jean Langlais had finished playing. We are most sorry for this inconvenience. his only performance in Spain during Easter 1977. A never seen video of Jean Langlais ! at the Marbella Club Hotel in 1977 and recorded with on of the first black/white video equipments Akai VR-110. 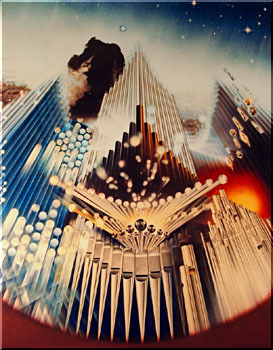 has been recorded exclusively at the grand Blancafort Organ in Marbella, southern Spain. 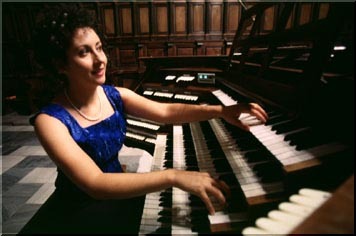 Picture of Pilar Cabrerar at the Cavaillé-Coll organ in Douai / France. All organ music of this web site has been recorded exclusively at the grand Marbella Organ in Spain. 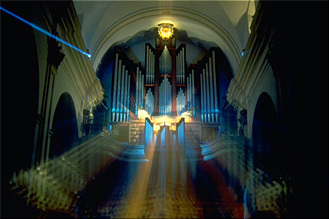 Picture of Pilar Cabrera at the Albiez-Organ in Frankfurt / N., Germany. click to enlarge Pilar Cabrera plays BWV 532 at the age of 18. 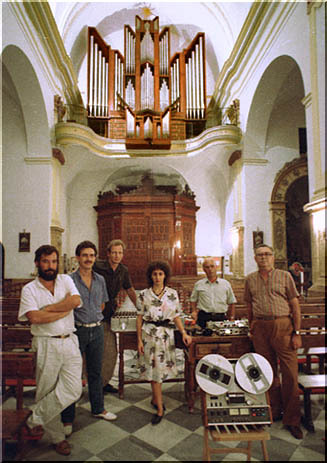 Pilar Cabrera recording at Marbella's grand Organ in 1982. All of our organ music has been recorded with the grand Marbella Organ in Spain. Ian Tracey recording the day after his concert in Marbella in 1986. Rosalinde Haas the day after her concert in Marbella in 1986. Hans Werres in 1976 at his depature from Málaga Airport. we have recorded the last accord of the Passacaglia together with the beginning of the Fugue. Pilar Cabrera performing at the 4 Organs of El Escorial / Madrid. has been the Organist of Marbella's Grand Organ, Órgano del Sol Mayor, during 20 years. 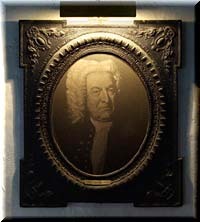 of all organ concerts and recordings celebrated at Marbella's main church. and also the concert organist at the Church of Cubillas de Santa Marta in northern Spain. has been installed at the very large Cathedral of Valladolid in Spain. from Michael Reckling in Valladolid in Northern Spain. 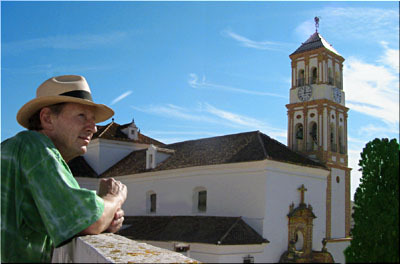 promotor of Marbella's Organo del Sol Mayor at the main church of Marbella.